October is a great month to read those spooky, fun books you always wanted to try but weren’t in the mood to read before.  This month, The Vue Apartments Blog is providing five book recommendations, varying from picture books to chapter books that your inner child and your adventurous adult self will love. So cozy up in your beautiful apartment with a mug of hot chocolate and one of these books for a great introduction to October here in Fitchburg, WI. The Harry Potter series is one series that everyone, child or adult, can enjoy and immerse themselves in every day of the year. But if you want to feel like a witch or wizard this month, start this magical series and practice learning spells, defeating dark wizards, and going through life with the Golden Trio. Reading this series will change your life if you haven’t already read it. Learn about Dr. Frankenstein and his monstrous creation first-hand by going back to the roots of this classic story. Consider your own answers to the questions the scientist is obsessed with concerning nature, the origin of life, and our roles in meddling in those things. See what the vampire hype is all about by reading this classic tale about Count Dracula and an ominous visit to his castle in Transylvania. Be prepared for spooky attacks by phantom women, a transformation from human to bat form, an escape, and a mysterious malady that lead to a vampire hunt. The story is told in a series of letters between characters corresponding to each other, but the storytelling will chill you straight to the bone. If you don’t want to invest too much time in reading a chapter book, delight in the beauty that is Halloween picture books, especially those that teach you tender life lessons, like this one. This book will make you empathize with Oscar, a dachshund who is teased for his short and long shape. But experience Oscar’s empowerment when, come Halloween, he becomes an unlikely hero. He’s a great character to root for. This book is another one of those picture books that will entertain most people, no matter their age. Enjoy the cadence of the writing, whether you’re reading it aloud or in your head to yourself. You may not have walked through the woods with inanimate objects clomping around behind you, but this book will thrill you as if you had, and it will resonate with you if you’ve ever faced your fears head-on. Head to the Fitchburg Public Library or your favorite bookstore and pick up one of these books this month. What is your favorite Halloween-themed book to read? Please share in the comments so we can all check it out. Happy Halloween!